Is Points2shop a Scam? Read Reviews! Prizes: Sony Playstation, XBox, mobile phones, Amazon gift cards, cash, etc. Reading about a free prize site, I usually get suspicious – I mean the golden rule is you don’t get something for nothing. Points2shop.com offers different ways to earn points and cash – and it’s free. It looks like the only thing it costs players is time. It appears anyone can play here, though different offers especially surveys can have restrictions. Let’s take a look. 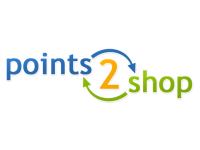 Points2Shop is a free online rewards program where people earn points or cash looking at offers, watching videos, playing games, doing surveys and shopping online. It is available on your laptop or through their app on smartphones. Members at Point2Shop must be 18 years or older – or people between the ages of 13 to 17 can play with their parent’s consent. You must provide something that confirms your identity and address. Though there is only one account allowed per individual, households can have more accounts. It looks like offers/prizes to win is offered mostly to residents of Canada, the US, and the UK. What Are the Prizes Offered by Points2Shop? People earn points to get things like a Sony PlayStation, XBox, mobile phones, Amazon gift cards, and cash. There is a definitely an emphasis on Amazon gift cards as they have a place on their homepage you can type the name of the product you’d like to acquire with an Amazon gift card. They do say they are not a sponsor of this site. Points2Shop is a company out of Georgia in the United States. On their site, there is simply an online form to complete. There are no phone numbers and no other way to contact them. It looks like these folks have been around since 2007 and claim a huge membership. Though you can play from anywhere (public locations), you can only request a prize or withdraw cash from your home computer or personal phone. You can’t play any of the games through your smartphone. Interesting – you can’t do an offer on Points2Shop if you’ve done it on another site. There are also a bunch of rules depending on the different ways to earn credit or cash which may involve your age or location. Points2Shop says they process payments and orders with two business days though sometimes it can take longer. If your account gets up above the US $600 in any year, they require you to complete a W-9 form (for US residents) or a W-8 form (for non-US residents). For Amazon or other merchants’ prizes, the delivery time can be longer. Points2Shop says to check out the specific product page for delivery information. Cash is usually paid through PayPal. There must be a lot of players at this site as there is a lot of feedback – both good and bad. Most of the good comments talk about what prizes and items people were able to get. Most of the complaints revolve around being banned without notice and lack of response to contacting support by email. The other is time wasted doing pre-survey qualification and then not qualifying to participate. Is Points2Shop.com a Scam or Legit? Points2Shop looks straightforward and there are many ways to earn points to use to get things. Just read the small print regarding on the things that could get you banned from playing. Would you mind rating Points2shop.com? If you have time to sit online and complete surveys, play games, watch videos and shop online, then this is a place to get interesting stuff. It does have limitations directed towards product advertising and specific nationalities so could be frustrating for some of the international players. This site gets a thumb’s up. If you have the time, see what you can win.